PADEAP was founded in 1997 in Uganda. The founders identified a gap between Pan African political aspirations and longer term aims and objectives of economic development and educational support for marginalized groups in Africa and the Diaspora. 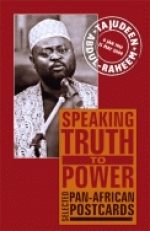 PADEAP is the educational and advocating arm of the Pan African Movement.